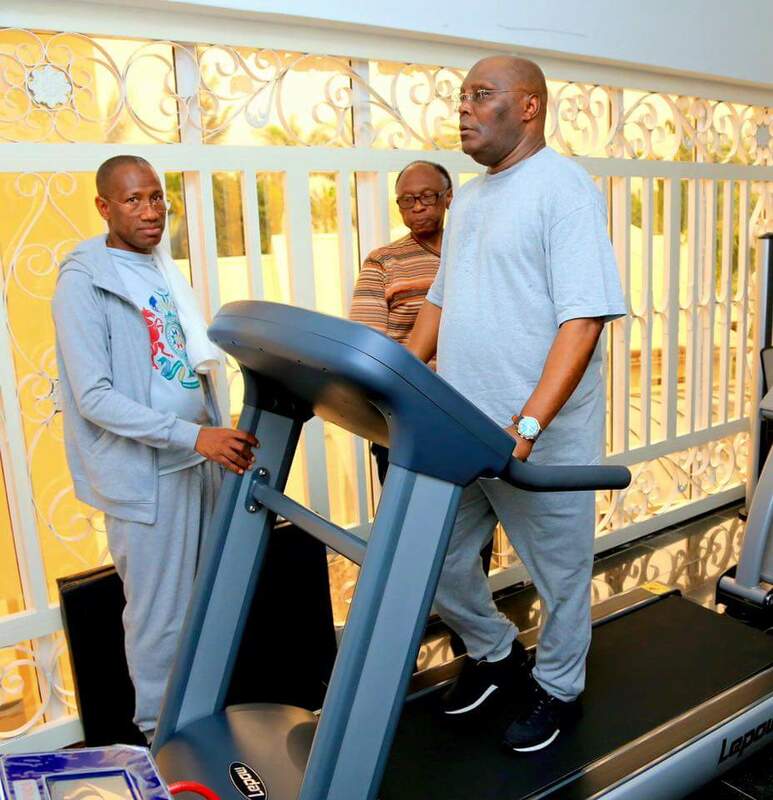 Atiku warming up for his transfer to arsenal in January. That's a joke right? Yeah it is. 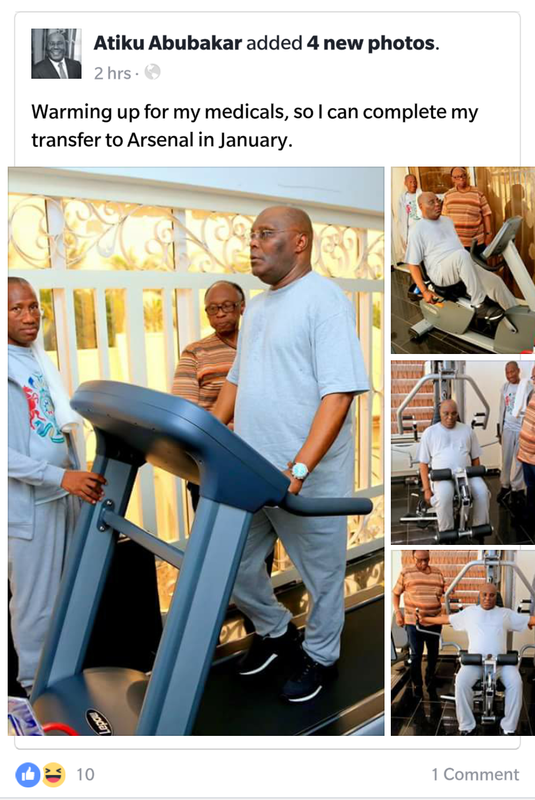 Atiku Abubakar uploaded four pictures of himself in the gym on facebook earlier today and jokes about him being transferred to arsenal by January. A pretty joke though, but let's see, his he a fan of arsenal or he's mocking the club?... we find out about that later. For now see his Facebook post below.